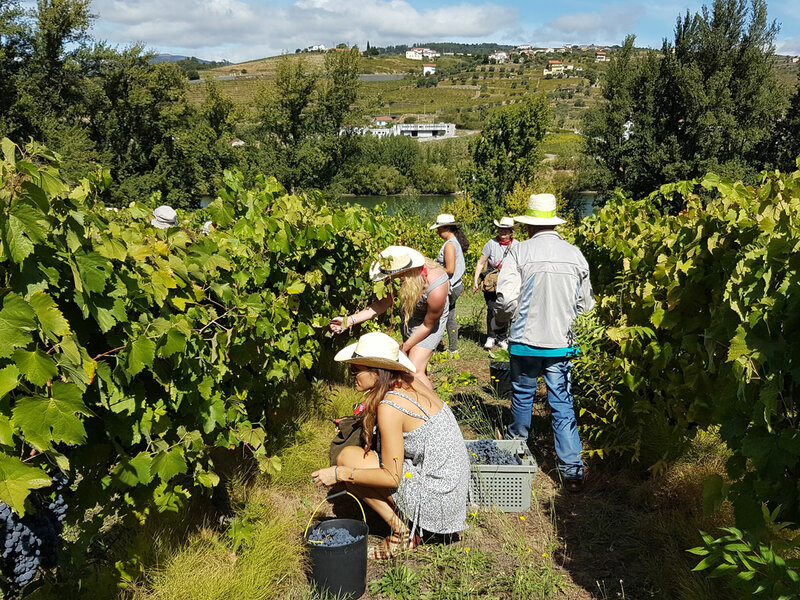 As a wine lover, one of the best educational experiences you can have is to participate in the process of wine making by helping with a harvest, and one of the best places in the world to take part in harvest activities is in the Douro Valley of Portugal. If you’ve visited a wine region during harvest before, you already know the atmosphere is alive with excitement and anticipation. The grapes have been carefully minded throughout the growing season and have finally reached their maximum potential. You can smell their ripeness in the air. 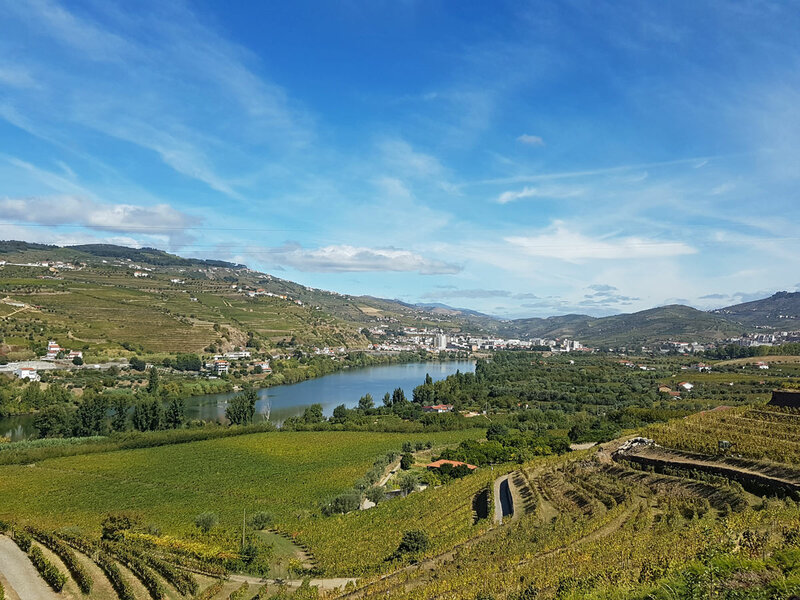 If you’ve been thinking about planning a trip around harvest time, with the intention of helping pick grapes and even do a little grape stomping for fun, you won’t find a better place to do it than in the heart of the Douro Valley. Located about an hour and a half drive from Porto, the Douro Valley wine region is one of the oldest in the world. The river carved a deep valley that runs through the region, providing what has been transformed into steeply terraced vineyards that expose the vines to the sun in just the right way to produce world class wines. The dramatic landscape is something to admire and gawk over as you drive between towns. There are a number of great activities, wineries, and restaurants to keep you busy on both sides of the river during your visit. You can even sleep in a wine barrel, if you wish. Wine tasting in the Douro Valley is practically a required activity for any visit and can be arrange at many of the wineries, but to truly experience the traditions and excitement surrounding the harvest season, you should seek out a winery that offers a harvest experience, like the one I chose at Quinta da Pacheca. Not knowing what to expect from the harvest experience, I arrived at Quinta da Pacheca in Regua, right at the peak of the harvest action. Trucks carrying workers to the vineyards lumbered by as we prepared for the work we’d come there to do: grape picking. After a special harvest breakfast in honor of our valiant call to action, we were fitted with a straw hat, a Pacheca t-shirt, a tobacconist scarf and a set of cutting scissors and loaded into our own truck headed for the vineyard. Although the “tourist team” is kept small, you can expect to be joined by a fellow wine lover or two who you will quickly bond with over the day’s experiences. You will sidle up to real grape pickers as they expertly clear a row of vines in a flash. 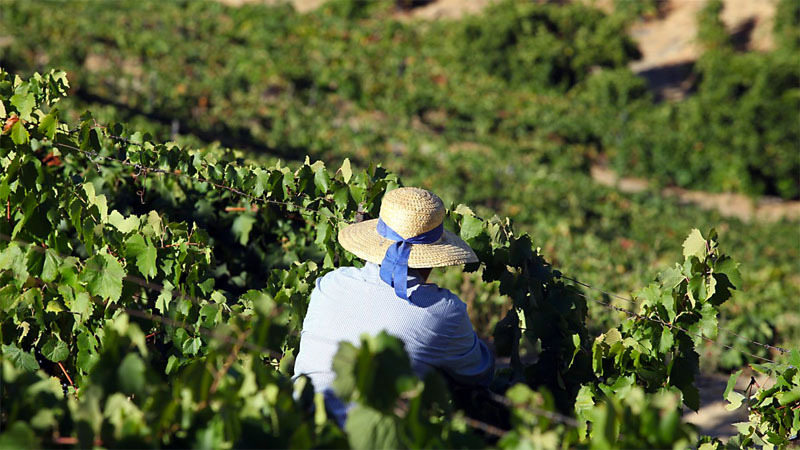 There’s no denying that harvesting grapes by hand is a difficult job – one that requires skill, attention to detail, patience, and a lot of sunscreen. As soon as you hit the first row of grapes and start snipping big juicy bunches of fruit, you’ll understand the struggle. While I’m convinced that half the bunches I picked had to be resorted by the real workers, I had such a good time doing it that the hour or so we were out there flew right by. After your morning grape-picking workout, the tourist team heads back to the winery for a more relaxing afternoon, complete with plenty of wine tasting. 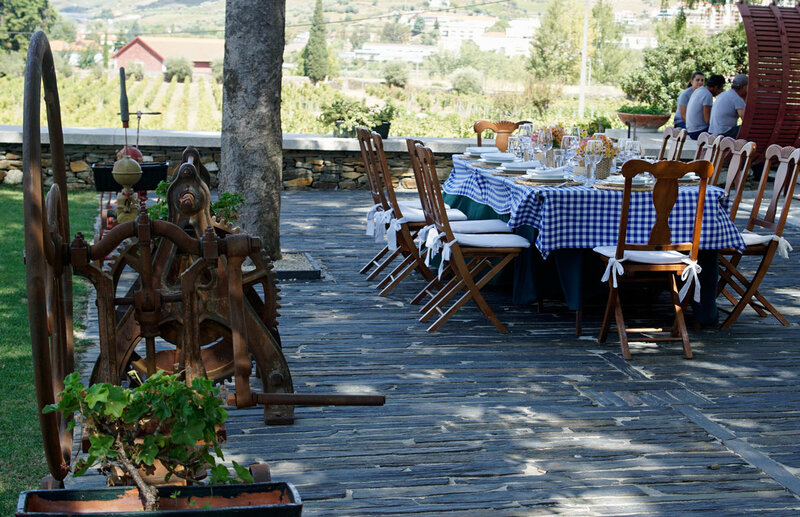 You’ll have an opportunity to try some local dishes paired with wines from the winery during an outdoor harvest lunch, surrounded by the beautiful countryside. 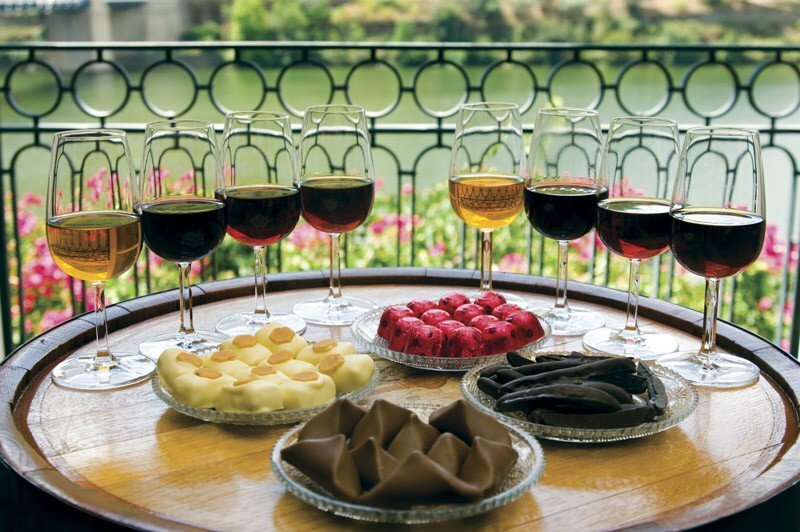 After lunch, you can tour the winery and sit at their outdoor lounge for some wine tasting. But don’t get too relaxed, the best part of the whole experience is to follow. 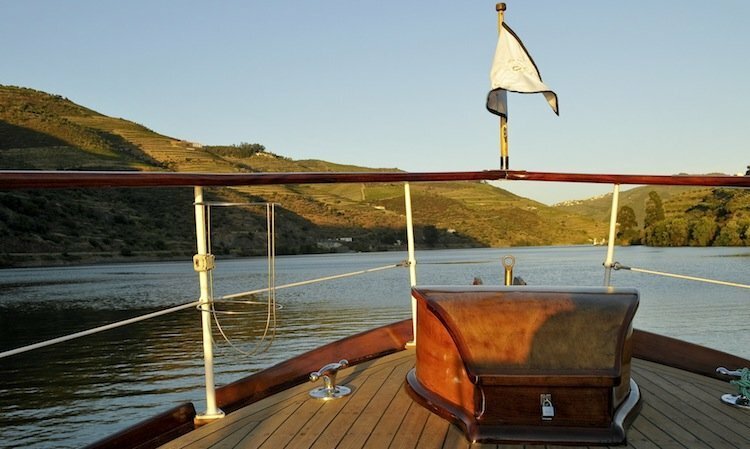 While not all wineries continue the tradition of stomping grapes, Quinta da Pacheca and many of the other Quintas in the Douro Valley still do it for some of their wines, particularly port. They use either modern steel or traditional stone lagares (large vats) which can hold up to 10 tons of grapes. 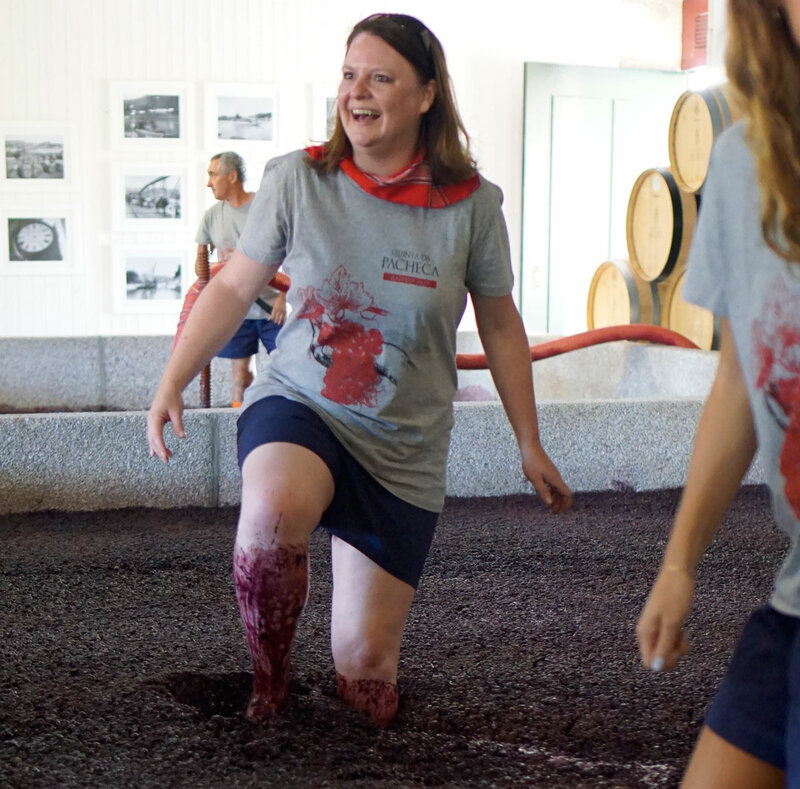 Participants wash their feet and legs, then step into the vats of grapes and form a line of stompers. Crushing the grapes requires taking high steps, raising your knees high so you press the grapes down with your foot and gently crush them. The rhythm of the stoppers is slow and steady. Music often accompanies the work, making it more of a celebration than a chore. Your contribution to the effort will last around 30 minutes, but the grapes stay in the lagares for around four days as they are tread by foot for a couple of hours each day, before the juice is transferred to barrels. 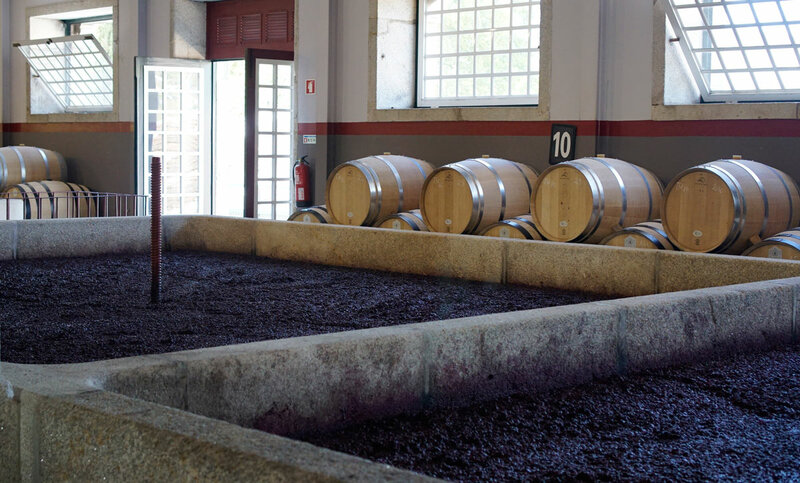 As mentioned, there are a number of wineries in the Douro Valley that offer harvest experiences, including Quinta da Pacheca, Quinta do Vallado, Quinta das Carvalhas and prices for the day vary. Start planning your trip by planning it at least 4 months in advance to inquire about the experience. Due to climate fluctuations, there is no guarantee as to when the harvest will actually take place, which can put a damper on your plans. It’s best to schedule your trip for the end of September and plan to stick around for at least a week, which will increase the chances that the harvest will occur while you’re there. Participating for a day in the harvest ticks off a lot of must-have experiences for wine tourists. It remains one of the best wine experiences I've ever had. 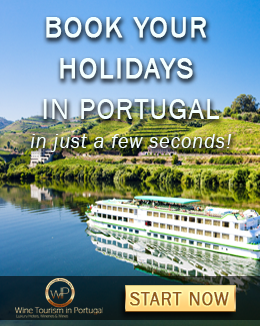 It is one of the most popular experiences among visitors to the Douro Valley for a reason. You won’t soon forget the feeling of the grapes beneath your feet or the way the wine tasted just a tiny bit better after you’ve spent some time picking grapes. 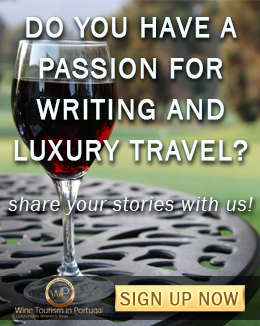 Laura Lynch is the creator and writer of the travel blog, Savored Journeys, an exploration of food and wine around the world. She’s an avid world traveler and lover of great food and wine. Connect with Laura on Twitter, Facebook, Pinterest, and Instagram.